Hi! Welcome to my little corner of the internet universe. This is where I share the things that get me excited and motivated, that work for my little family, and even some stories of Pinterest and recipe fails. It happens, right? My family is my world. I am blessed to be a mother to two amazing little boys who light up my life, and, if I’m being honest, can drive me crazy some days. They are so busy! I had no idea boys could be so physical and crazy. But it keeps life interesting. I am married to the most amazing man. Together, we’ve jumped a lot of hurdles. Truly, marriage has helped define each of us and mold us in to better people. We are not even close to being perfect, but the journey has been amazing. I began blogging in 2007 when blogs were more like family journals, a way to stay connected to family and friends. As with all things, blogging has developed into something new and this blog grew with the times too. Here you’ll find my craft projects and DIY as I’m never without a project or idea. I also love to cook and bake and share winning recipes from family, friends, and my own creations. We recently decided to begin enlightening our children by traveling around the United States. Our adventures will be shared here too. I love to design and create fun printables and my love of reading and family history will be highlighted with book reviews and tips. My blog is the place I come to share the things I love about life as I hope to enrich and share with others the little rays of sunshine that brighten my life! Welcome to the Your Everyday Family Community! Jennifer Day is a graduate from the University of Utah with a degree in English. She is a previous member of the Days of 47 Royalty which gave her the opportunity to become a public speaker and ambassador for the state of Utah. In 2007, she began blogging as a means to stay connected to family and friends. The blog grew each year, ultimately transforming from a family journal to a sharing place of ideas, crafts, recipes, and projects. She is now an avid blogger and social media influencer. In 2014, she began running marketing and social media for their family business, Day Murray Music, in addition to her blog. This included planning and creating a large local area competition that required building relationships with local media and fans. Jennifer has been featured on several prominent blogs including Tatertots and Jello, I Heart Naptime, and Lil Luna. She has had the opportunity to be an ambassador for Roots Tech, Affiliate Summit West, Family Search, and is a social media influencer for The Church of Jesus Christ of Latter-Day Saints. 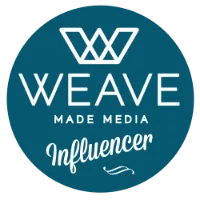 Her blog now includes video tutorials, garnering greater reach to fans than ever before, and she has worked with several brands including M&M’s, Milk Life, Covenant Communications, Shadow Mountain Publishing, Walmart, and many others. She is currently a contributor to the popular site, MadeFromPinterest.com. She has appeared on local TV shows including Fresh Living, 2 News Morning Edition, Good Things Utah, and Studio 5.